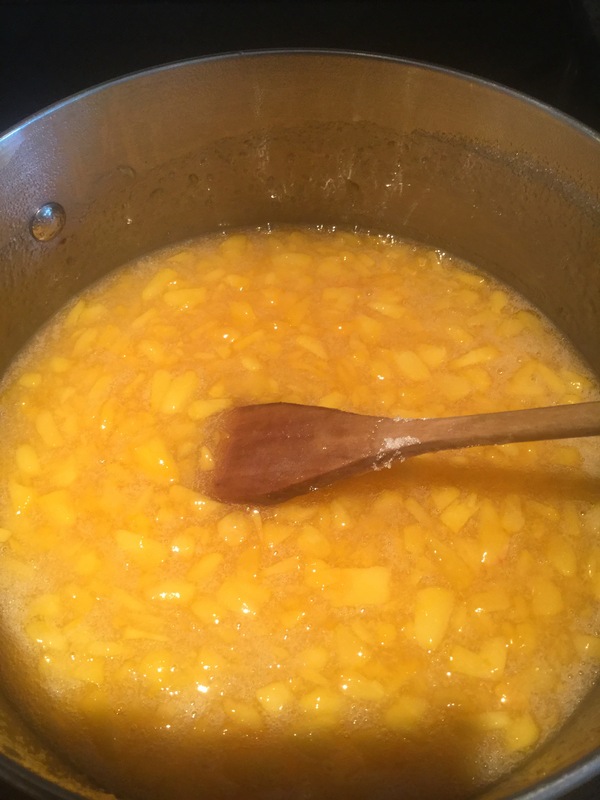 extra peaches | ARTZCOOL'S BLOG! 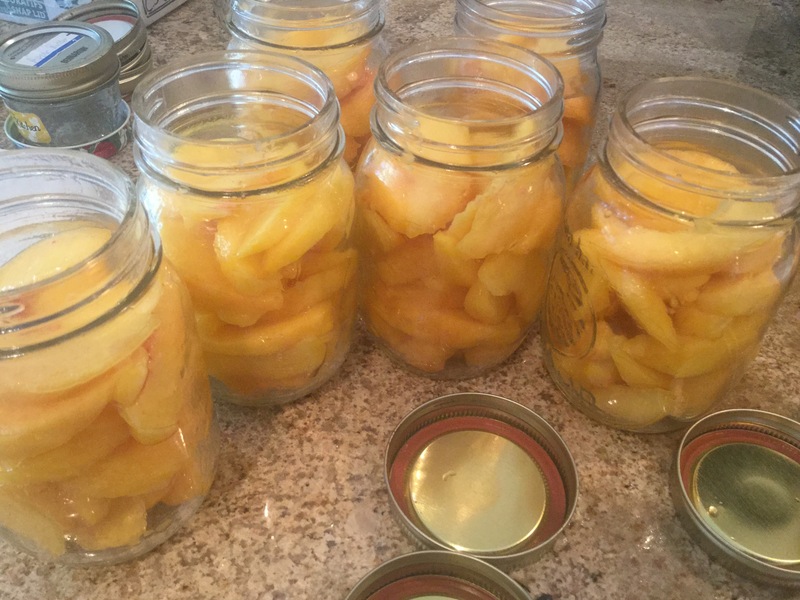 My day was just peachy! 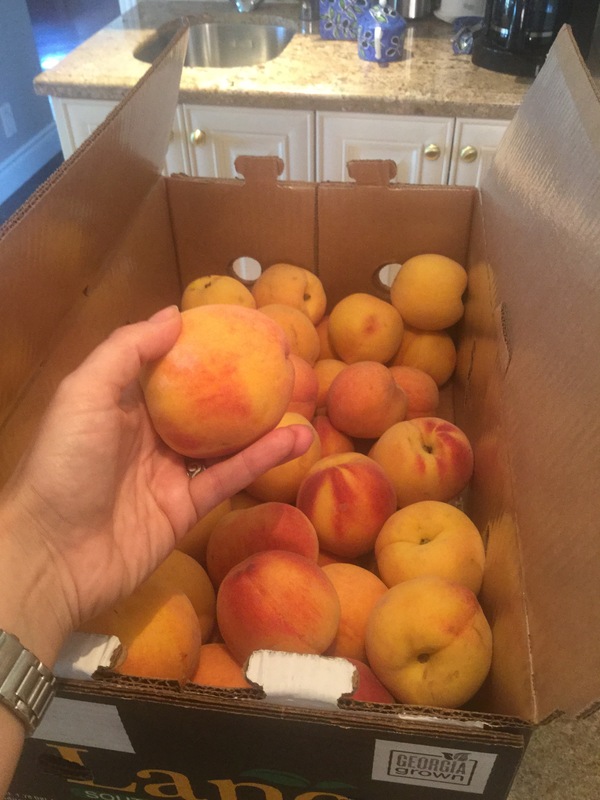 We were lucky enough to be invited up to a cottage at the end of last week, and while we were up there, I found a flyer for a truckload delivery of Georgia peaches. 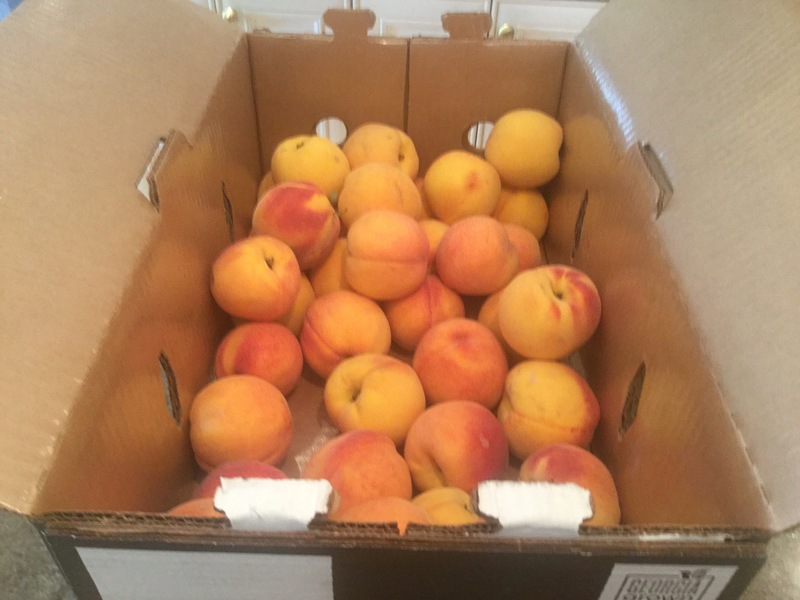 They had scheduled deliveries in the area where you could buy a freshly picked box of peaches right off the truck… Sounds perfect, right? I know! 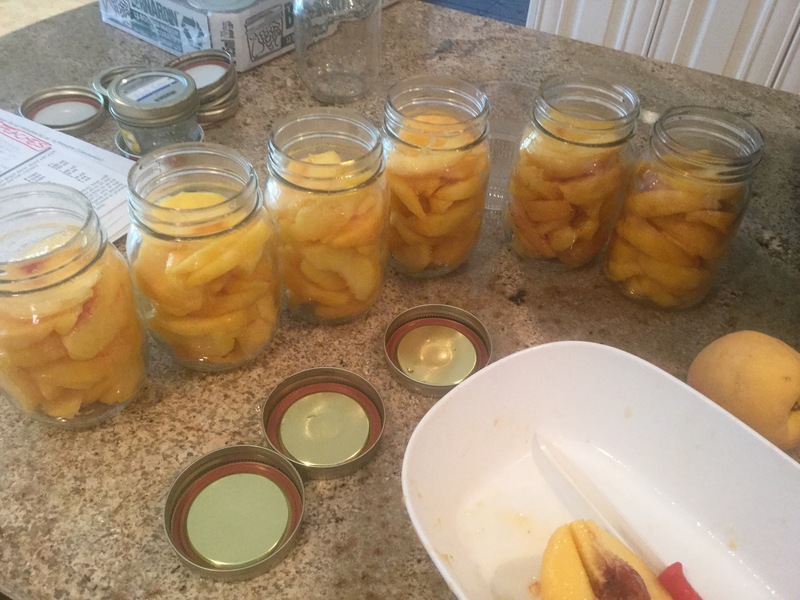 Anyways, I showed up at 10:00, picked up my peaches, and the woman said to leave them at room temperature for two days, then they would be ready to eat. 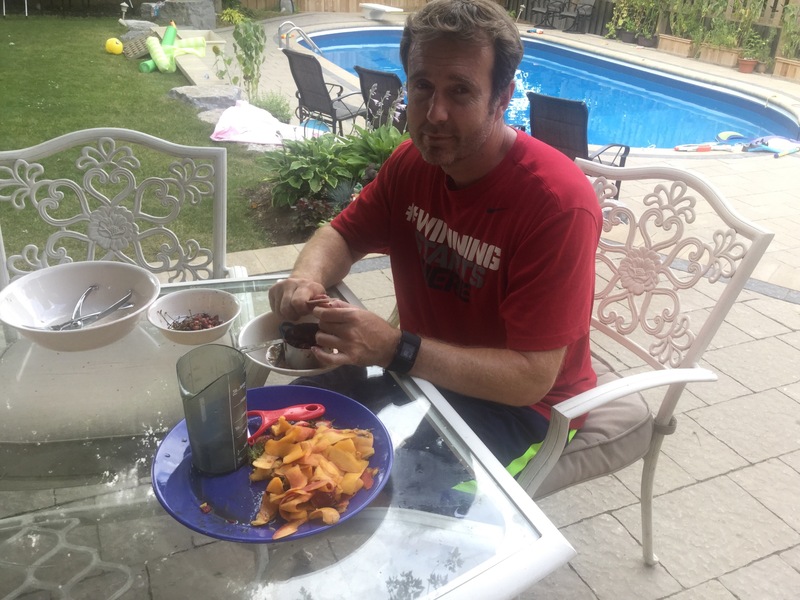 So that’s exactly what I did… We got home from the cottage, unpacked, and had people over Saturday and Sunday, then yesterday, I suddenly realized that I had this huge box of ripe peaches that needed to be used….immediately. Just peachy! 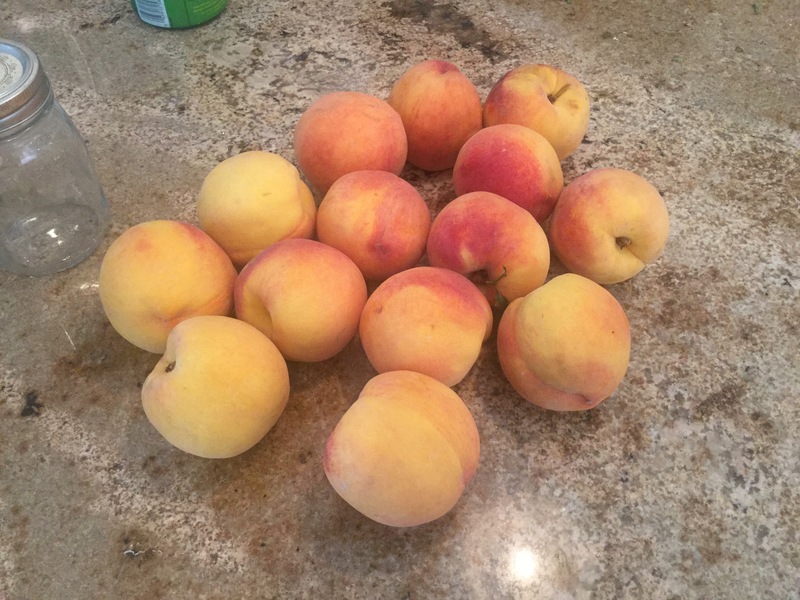 But check them out, these were some beautiful peaches! 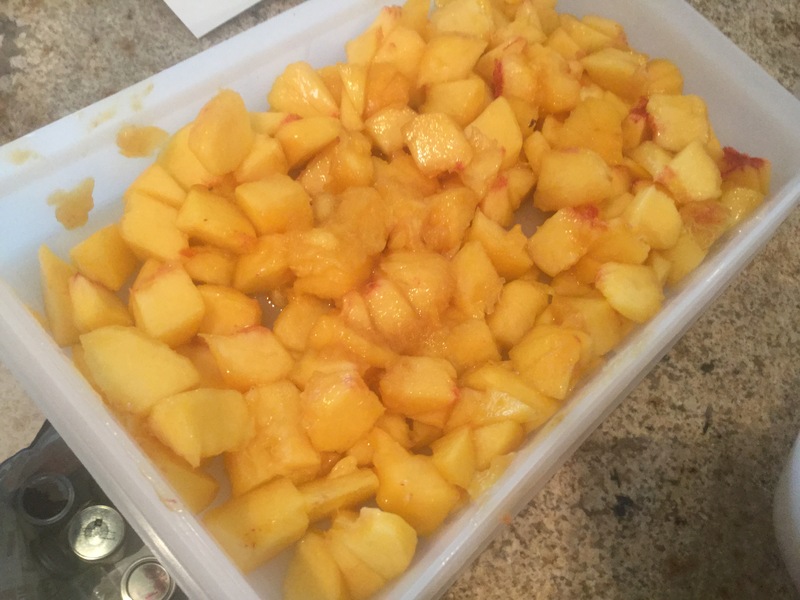 So I peeled, and cut up a whole bunch to freeze to make smoothies with…. 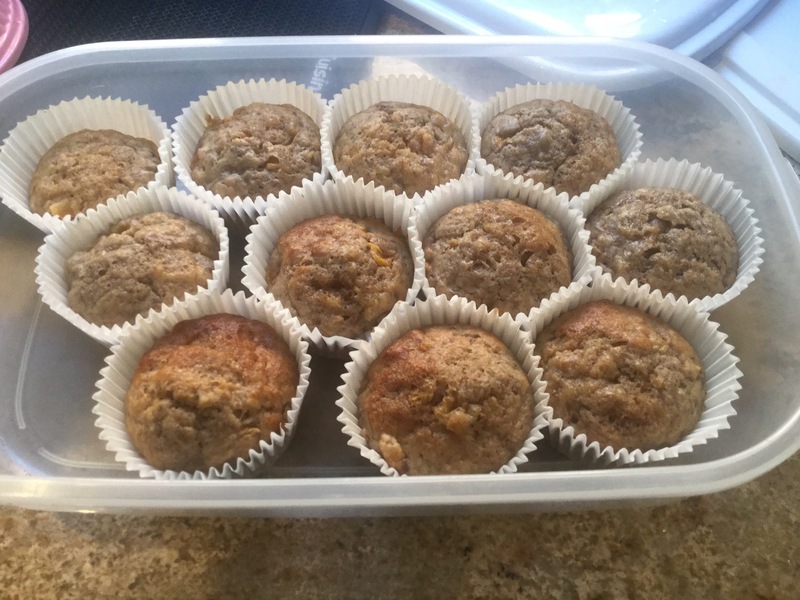 And, I made banana and peach muffins…. 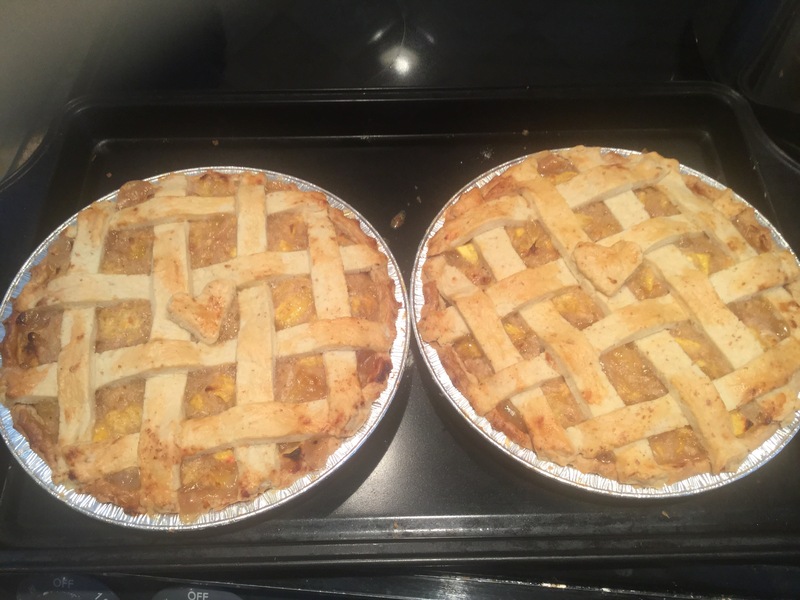 I was pretty pleased with myself, until I took a closer look in the box…seriously? That barely made a dent! 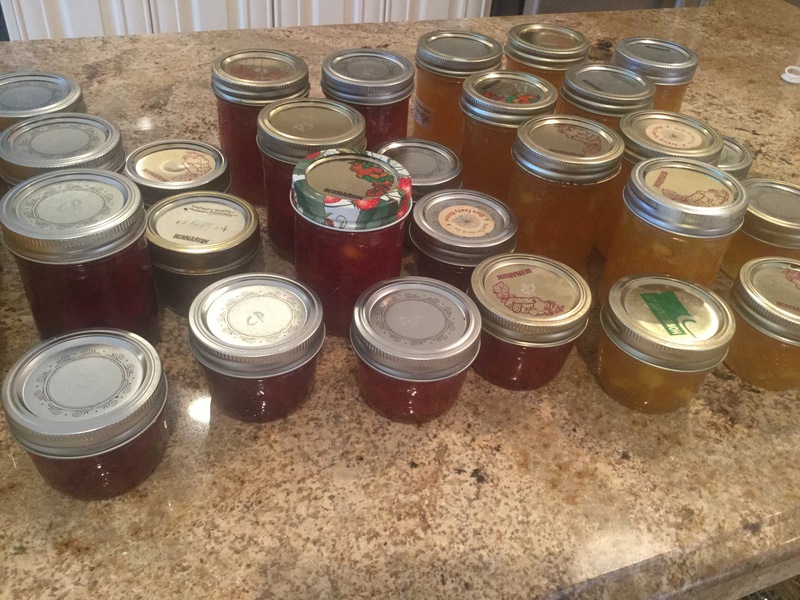 And still had some leftover for eating! So, inbetween all of my peach baking, and preserving, we had workers in and out of our house working on our fireplaces, and company over! 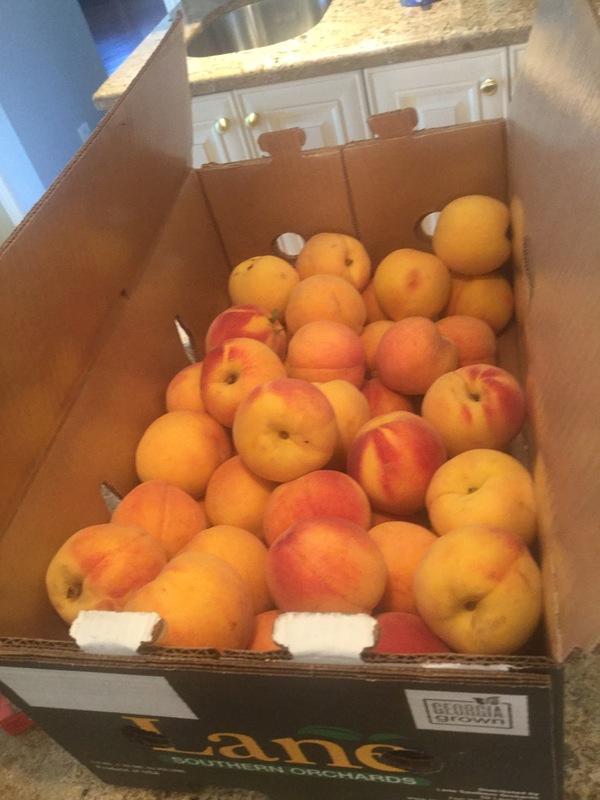 But I managed to use almost the entire box without throwing out an entire peach! 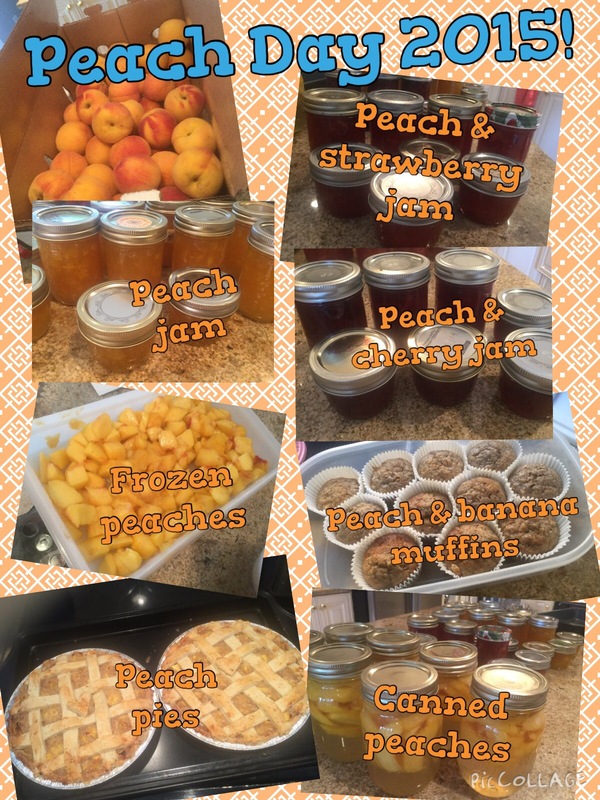 I also took some detailed pics of making the canned peaches, and peach pie, so I will post recipes soon…you know, in all my free time lol.